Kansas State University researchers have discovered the mechanism by which weeds develop resistance to glyphosate, an herbicide. Their work could lead to improved weed control strategies and improved production in farm fields and other areas where weeds affect plants and crops. Pictured, left to right, are Mithila Jugulam, Dal-Hoe Koo, Bernd Friebe and Bikram Gill. Newswise — MANHATTAN, Kan. – Kansas State University researchers have discovered how weeds develop resistance to the popular herbicide glyphosate, a finding that could have broad future implications in agriculture and many other industries. Their work is detailed in an article that appears in the March 12 edition of the Proceedings of the National Academy of Sciences, known as PNAS and considered to be one of the most-cited journals for scientific research in the world. According to its website, PNAS receives more than 21 million hits per month. “Herbicide resistance in weeds has been a huge problem, not only in Kansas and the U.S. but many parts of the world,” said Mithila Jugulam, a K-State weed scientist and co-author of the PNAS article. Palmer amaranth and common waterhemp are the two troublesome pigweeds in Kansas agricultural fields, as well as other parts of the United States. Glyphosate – the key ingredient in the popular Roundup brand – is the herbicide that is widely used for controlling many weeds. But Jugulam notes that glyphosate resistance is becoming more prevalent in many states. Bikram Gill, director of Kansas State University’s Wheat Genetics Resource Center who has worked in plant genetics for nearly 50 years, said the researchers knew pretty quickly that the genetic makeup of resistant weeds was different. Scientists refer to this structure as extra-chromosomal circular DNA (eccDNA). Each eccDNA has one copy of the gene that produces an enzyme that is the target for glyphosate. Gill said the indications are that once a weed has acquired eccDNA, the resistance may evolve as quickly as in one generation. The same K-State group recently published research on common waterhemp in the scientific journal, Plant Physiology, reporting that “a portion of the linear chromosome containing the target gene broke to form a ring chromosome carrying several copies of the glyphosate target gene,” according to Jugulam. Armed with their new knowledge, the researchers can begin work on developing strategies to negate resistance in weeds. The research team notes that farmers should incorporate best management strategies – such as rotating herbicides and crops – to reduce weed pressure: “This may allow evolving resistance to dissipate as we know that these eccDNAs and ring chromosomes are unstable and can be lost in the absence of herbicide selection pressure,” Jugulam said. Funding for this research was provided in part by grants from the Kansas Wheat Commission; the Kansas Crop Improvement Association; a National Science Foundation grant received through the Wheat Genetics Resource Center; the K-State Department of Agronomy (College of Agriculture); and USDA’s Agricultural Research Service. Kansas State University worked in collaboration with researchers at Clemson University, the USDA Agricultural Research Service (Mississippi) and Michigan State University. The full article can be accessed on the website for the Proceedings of the National Academy of Sciences. New technology which will apply state-of-the-art weed detection to apply herbicide more accurately could be available for use by 2020. 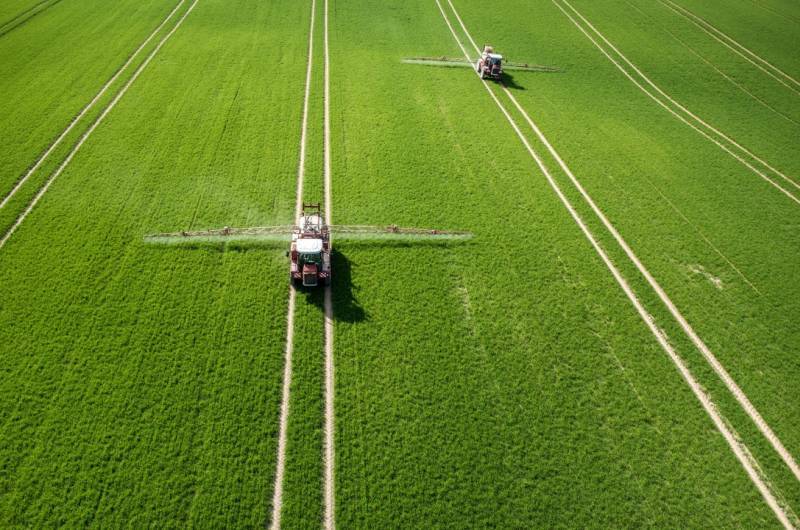 As part of a three-year research partnership between two German agricultural and tech giants, Bayer and Bosch are developing smart spraying technology. Using camera sensors, it can differentiate between crops and weeds and target weeds with pesticides – at lightning speed, in a single process. It is hoped the technology will be available by 2020. “Smart spraying sustainably clears fields of weeds. This safeguard yields while minimising environmental impact,” Dr. Markus Heyn, member of the Robert Bosch GmbH board of management, said. The rise of such technology is seen as an important step forward as agriculture leaders advance innovations that are climate-friendly, to reduce the industry’s carbon footprint. 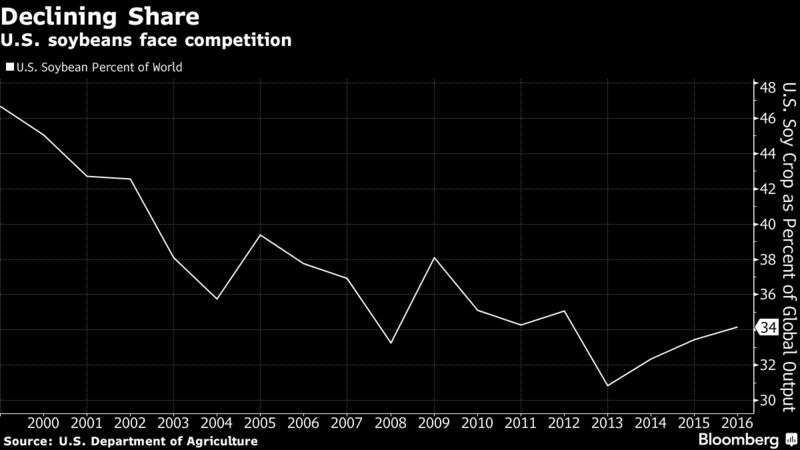 World hunger is also a growing problem for the industry. According to predictions made by the Food and Agriculture Organisation of the United Nations (FAO), farmers will have to sustainably generate around 50% more yield by 2050 in order to feed the global population. “We want to venture together with Bosch into new territory, combining different technologies to ensure that herbicides are only applied in areas where they are really necessary,” Tobias Menne, head of digital farming at Bayer, said. The technology solution will offer a digital “field manager” which assesses the field and recommends the best time to treat weeds. Weeds can be difficult to identify, but by using camera sensors, the technology can determine what is growing in the field and then adopt a targeted application technique to spray crop protection agents specifically on weeds. The multiple camera sensors, which are spread across the entire width of the crop sprayer, take a continuous series of pictures, identifying the different weeds and allowing the optimum treatment to be defined. While the crop sprayer is still crossing the field, the herbicide is sprayed in the required quantity and mixture using the appropriate application parameters. While the relevant weeds are targeted, weedless areas remain untouched. All this occurs within milliseconds. “Smart spraying is a quantum leap in the fight against weeds,” said Björn Kiepe, head of agronomy at Bayer’s digital farming unit. Bosch has been transferring its automotive technology to the agriculture industry, and is already generating sales worth 1 billion euros as a result. By the middle of the next decade, it plans to double sales of technologies for agriculture. “Bosch can do more than cars and cordless screwdrivers. We are bringing high tech to farms, opening up a market worth billions,” said Dr. Markus Heyn. 19 Oct 2017, 9:53 a.m.
WEED MANAGEMENT: Director of the University of Sydney’s Weed Research program Dr Michael Walsh says HWSC plays an important non-chemical role in stopping weed seeds from entering the soil seedbank. An integrated weed management approach is essential to manage hard-to-kill weeds, avoid costly, ineffective control measures and preserve the life of herbicide chemistries. herbicide tools is critical if growers are to manage hard-to-kill weeds, avoid costly, ineffective control measures and preserve the life of important herbicide chemistries. University of Sydney’s Weed Research program director Dr Michael Walsh said herbicide resistance was an escalating problem in the northern grain growing region. While growers in Queensland and NSW have traditionally faced fewer problems than their western counterparts, that’s rapidly changing, he said. Dr Walsh has played an integral role in developing one of Australia’s leading non-herbicide weed management tactics, harvest weed seed control (HWSC), which focuses on the capture and destruction of weed seeds. “Annual weeds such as ryegrass, wild radish, brome grass and wild oats have adapted to cropping systems, growing to similar heights as cereals and maturing at the same time,” Dr Walsh said. GRDC VIDEO: Integrated weed management explained. “HWSC plays an important non-chemical role in stopping weed seeds from entering the soil seedbank and can dramatically reduce the emergence of hard-to-kill weeds in the following season. A new tool to help growers incorporate HWSC into their weed management program is now available with the release of a GRDC Know More video explaining the use and benefits of HWSC. “Methods range from something as simple as a chute on the back of the harvester to more complex systems such as a mill system which is integrated into the rear of the harvester,” Dr Walsh said. “My advice to anyone just starting out is to start simple and assess how HWSC techniques can be effectively incorporated into the management program before advancing to something like the Integrated Harrington Seed Destructor, chaff carts or even a bale direct system. The story Integrated weed management critical | Video first appeared on Queensland Country Life. NZ government funds targeted weeding initiative. It’s a vision straight out of a sci-fi movie: a fleet of drones criss-crossing a farm, scanning the ground below for weeds and when they are found zapping them with a laser-beam. However, the New Zealand government is spending $NZ1 million in the hope of making that vision a reality. The Ministry of Business Innovation and Employment is giving the money to a partnership between government research organisation, AgResearch, the Universities of Auckland and NZ-based technology firm Redfern Solutions to examine the development of such technology. Program leader Dr Kioumars Ghamkhar said the aim was to use cameras and software to identify the weeds based on their unique chemical signatures and how they reflect light, and then locate them precisely using GPS. “From there, we think smart spraying (rather than systemic and non-targeted use of chemicals), or the right kind of laser mounted on the drone could hone in and damage the weed,” Ghamkhar said. “We know there are lasers now available that could be suitable, and that they are extremely accurate, so if lasers are used, it would also avoid damaging the useful plants around the weed. There are other initiatives underway suggesting that the weed identification, if not killing, is perfectly feasible. IoT Hub reported last month that Netherlands-based crop spraying equipment maker Agrifac was a planning to incorporate weed recognition technology developed by French startup Bilberry, in conjunction with Nokia, CETA, Institut Mines-Télécom and Tampere University of Technology into crop sprayers sold in Australia. Also, Hitachi Australia has developed technology that takes imagery from drone mounted cameras able to respond to a very wide range of wavelengths, analyses this data in the cloud and provides weed identity data to the farmer. The company is looking to commercialise the service including providing the drone and training in its use to the farmer. Earlier this year, the Electron Science Research Institute (ESRI) and Edith Cowan University in WA was reported to be close to commercialising a laser system for identifying (but not killing) weeds that used lasers of three different frequencies. The International Association for the Plant Protection Sciences (IAPPS) <www.plantprotection.org> and the Feed the Future IPM Innovation Lab at Virginia Tech <http://www.oired.vt.edu/ipmcrsp/> are organizing two symposia at the First International Conference on Biological Control. See details below. We are now soliciting presentations for these two symposia. Conference title: First International Conference on Biological Control. Date and time of symposia: September 27 and 28, 2018. Length of presentations: 15 minutes each with 5 minutes for discussion. Even when two different Phragmite lineages are grown side-by-side in the same ecosystem, the bacterial communities in the soil differ dramatically. This is a discovery that will aid in understanding how plant invasions get started and the conditions necessary for their success. URI Professor Laura Meyerson investigates Phragmites at a marsh on Block Island as part of her research. In a common garden at the University of Rhode Island, Laura Meyerson has been growing specimens of Phragmites — also known as the common reed — that she has collected from around the world. And while they are all the same species, each plant lineage exhibits unique traits. Now Meyerson, a professor of natural resources sciences, and Northeastern University Professor Jennifer Bowen have revealed that even when two different lineages grow side-by-side in the same ecosystem, the bacterial communities in the soil differ dramatically. It’s a discovery that will aid in understanding how plant invasions succeed and the conditions necessary for their success. The Phragmites lineage native to North America has inhabited local wetlands for thousands of years, but a lineage introduced from Europe has begun to take over many North American marshes. In a research paper published this week in the journal Nature Communications, Meyerson and Bowen outline their field surveys and controlled experiments on native, invasive and Gulf of Mexico lineages of Phragmites. Both methods found that the bacterial communities in the soil are primarily structured by plant lineage rather than by environmental factors, as was previously thought. “These findings go against the general dogma that says that the environment determines the microbial community you’re going to get,” Meyerson said. “Two populations growing close to each other should have microbial communities more similar than those living farther apart. But our results say that’s not true. In this case for these plants, it’s the plant lineage — below even the species level — that determines the microbial community.”These results are important for understanding more about the success and fitness of invasive species. The researchers noticed that the microbes associated with the native Phragmites had more kinds of bacteria that are used to defend the plant from enemy attackers than the microbes associated with the invasive variety, which left most of its enemies behind in its native environment. Meyerson said her results provide a new perspective for those managing land and trying to control invasive plants. Materials provided by University of Rhode Island. Note: Content may be edited for style and length.